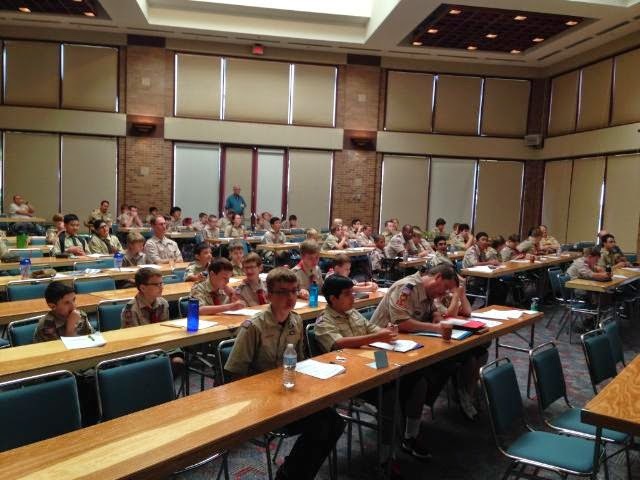 Check out this instruction class of Scouts at Ham-Com 2014 in Plano, Texas, doing their duty to earn the Radio Merit Badge. The picture was taken by CQ Editor Rich Moseson, W2VU, on a photographic expedition at the convention. Please stop by the CQ booth, No. 113, and say hello. Click here to follow CQ on Facebook. Carl and Vicky Luetzelschwab, K9LA and AE9YL, respectively. 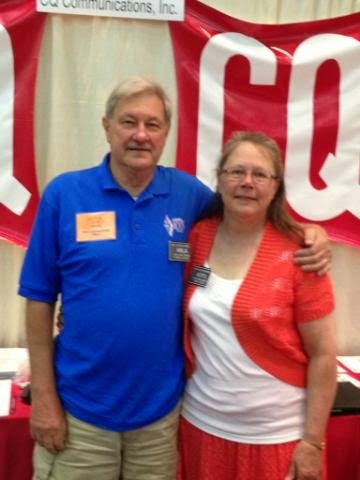 CQ Plus Practical Propagation columnist Carl Luetzelschwab, K9LA, and his wife Vicky, AE9YL, traveled from their home base in Fort Wayne, Indiana, to attend Ham-Com 2014. Carl is among lots of CQ and CQ Plus writers attending the convention. Carl and Vicky sure get around. Click here to see their QSL card when they operated YK9A from Damascus, Syria in 2001. If you're wondering where everyone is today, look no farther than Plano, Texas, site of the 2014 Ham-Com amateur radio convention. CQ Editor Rich Moseson, W2VU, snapped this panorama, showing the throngs of hams moving among the vendor exhibits. There is a flea market and many other shiny objects at the show, as well. If you have a chance, stop by the CQ booth, No. 113, where Rich and CQ Communications Sales and Marketing Director Katie Allen, WY7KRA, are holding down the fort. Click here to follow CQ on Facebook. 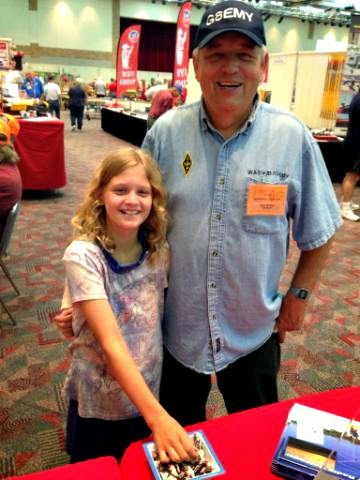 Two more CQ luminaries making the scene at Ham-Com 2014 today in Plano, Texas are CQ Short Circuits columnist Gordon West, WB6NOA, left, and Keith Pugh, W5IU, CQ Plus Amateur Satellites columnist. They are among the many radio amateurs from the CQ writing, editing and business staffs attending the show. If you're in the neighborhood, please look for the big red-and-white CQ logo. We're at Booth No. 113 in your programs. The team would love to say hello. Click here to follow CQ on Facebook. 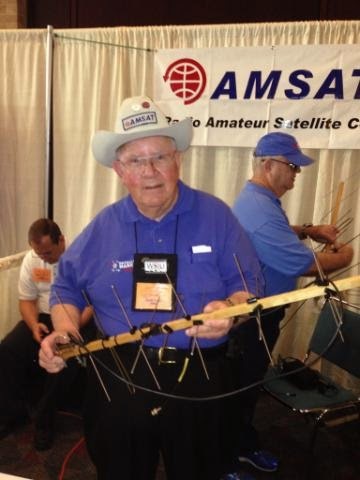 Among the CQ writers converging on 2014 Ham-Com in Plano, Texas is Kent Britain, WA5VJB / G8EMY, CQ Antennas and CQ Plus VHF Antennas columnist - adding "doting grandpa" to his dossier. Granddaughter Renee sweetens her visit to the convention with a Tootsie Roll at the CQ booth, No. 113. Editor Rich Moseson, W2VU, and Sales and Marketing Director Katie Allen, WY7KRA, encourage you to stop by to say hello. They're doing their best to resist eating all the candy themselves. Click here to visit CQ's Facebook page. 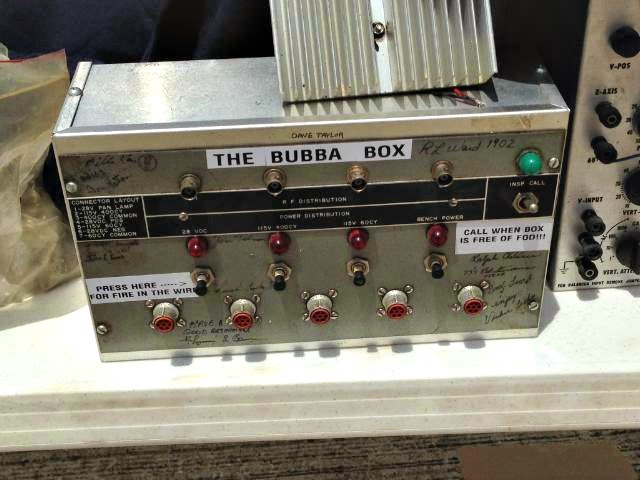 CQ Editor Rich Moseson, W2VU, had a sighting of the rare Bubba Box in the Flea Market at Ham-Com in Plano, Texas today. He had the presence of mind to snap a picture. As you can see, the BB has the alert to "Call When Box is Free of FOD!!!" That's Foreign Object Damage. Also note the button to press for "Fire in the Wire." What's that? Click here to find out! If you're at Ham-Com, please stop by the CQ booth, No. 113, and say hello to Rich and CQ Communications Sales and Marketing Director Katie Allen, WY7KRA. They're eager to meet you! CQ Communications Sales and Marketing Director Katie Allen, WY7KRA. 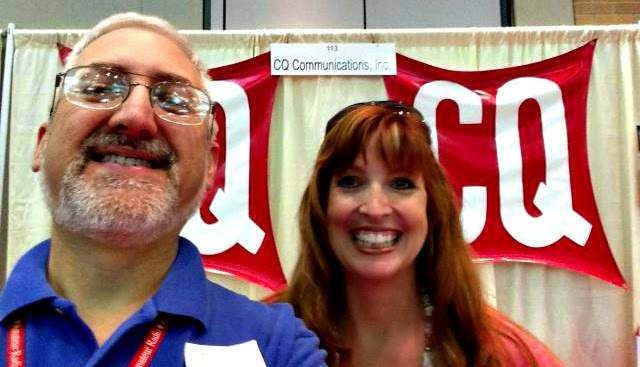 CQ Editor Rich Moseson, W2VU, and CQ Communications Sales and Marketing Director Katie Allen, WY7KRA, are all smiles at the Plano (Texas) Centre for Ham-Com 2014 today and tomorrow, June 13-14. They'd love you to stop by and say hello. Look for the red and white CQ logo at Booth 113. Get the latest edition of CQ and renew or sign-up for a print and/or digital subscription. Rich and Katie will be very happy to help you. They report they're having a blast, and hope you are, too! Acting on several long-pending rule-making proposals, the FCC in early June made it easier for former hams to regain their licenses, and for hams/prospective hams in remote areas to take license exams. When the new rules take effect (likely in mid-July), ex-hams who held General, Advanced or Extra Class licenses will be given credit for Element 3 and/or Element 4 (as appropriate) … BUT they will still need to retake and pass the Element 2 Technician exam. This puts them on the same footing with people holding expired pre-1987 Technician licenses (which then required passing the Element 3 written exam). 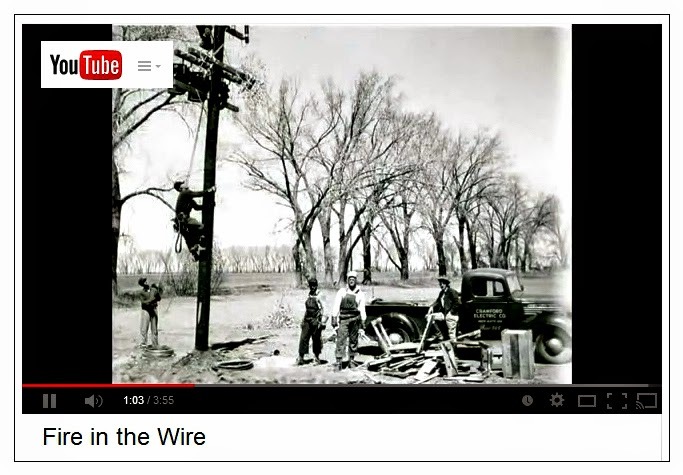 In addition, the FCC gave the green light to Volunteer Examiner Coordinators - at their discretion - to offer remote exam sessions, with VE supervision via audio/video links. This should increase exam opportunities in hard-to-reach locations. The Commission also decided against its own proposal to reduce the minimum number of Volunteer Examiners at a test session from three to two, to grant lifetime credit for Certificates of Successful Completion of Examinations (CSCEs) and to change the license renewal grace period and the timetable for making expired call signs available to the vanity call system. Finally, the FCC approved the ARRL's request to specifically permit certain TDMA (Time Domain Multiple Access) modes on amateur frequencies. 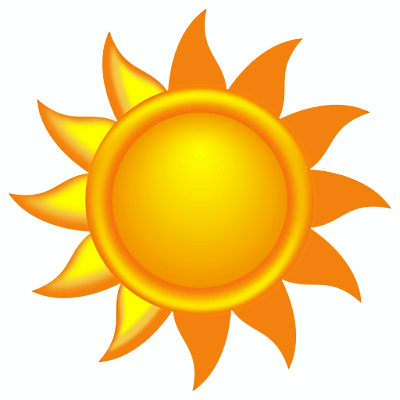 Members of the joint NOAA/NASA Solar Cycle Prediction Panel are in agreement that we are currently at the peak of Solar Cycle 24, and that, according to NASA Science News, "it is not very impressive." In fact, says the report, "there are only a few Solar Maxima weaker than this one," and many researchers, it says, are calling this a "Mini-Max." Nonetheless, the panel warned that significant solar events, "such as strong flares and significant geomagnetic storms," can be expected during the downward slope of any solar cycle, regardless of its strength. WRTC Awards for the Rest of Us! The main competition in this month's World Radiosport Team Championship (WRTC 2014) is among the 59 teams from 38 countries who will be operating with special 1x1 call signs on the weekend of July 14-15. But recognizing that those teams need to work the rest of us, the WRTC organizing committee has put together a series of awards to encourage the general ham population to join in the fun. 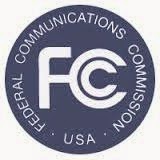 Two hams who frequent the frequently-unruly activity on 14.313 MHz have been cited by the FCC for violations related to station identification, and four others were told they would face enforcement action if they did not comply with formal requests to stay off of certain repeaters. FCC Special Counsel Laura Smith cited Larry King, KI8NGS, of Michigan for operating on 14.313 for at least 20 minutes without identifying (FCC direction-finding was used to identify his station); and Tennessee ham Daniel Churovich, N9RSY, was cited for repeatedly communicating with a station on 14.313 who failed to properly identify himself. Smith noted that it is also a rule violation to communicate with an unidentified station, as that station may not be a licensed amateur. In addition, according to the ARRL Letter, four hams in three states were warned in late March that the Commission expected them to "abide by the request of the trustee and/or control operator" of specific repeaters (or any others) not to operate on them. King Juan Carlos of Spain, known on the ham bands as EA0JC, announced in early June that he would be abdicating the throne, thus making his son, Crown Prince Felipe, the new king. The announcement came via the office of the President of the Government. In accordance with the country's constitution, Spain's parliament must pass a law implementing the change. No date had been given for the transition. 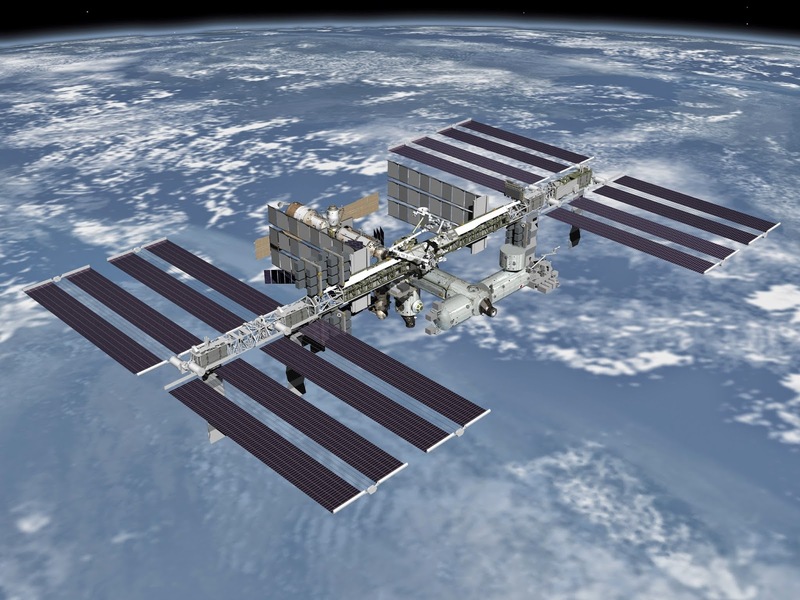 American astronauts scheduled to head to the International Space Station have become "collateral damage" in the escalating tension between the United States and Russia over the political situation in Ukraine. The ARRL Letter reported that after the U.S. imposed sanctions on Russia as a result of its annexation of Crimea, Russia responded by saying it would no longer provide transportation to the space station for U.S. astronauts. The U.S. has relied on Russia to carry crew members back and forth since the space shuttle program ended in 2011. NASA astronaut Steve Swanson is currently the only American on board the space station. The U.S. government is reportedly easing restrictions on sharing technology with other countries that has virtually stopped U.S.-based AMSAT-NA from taking part in any multinational amateur satellite projects for the past 15 years. Newsline reported at the end of May that the State Department will be reclassifying satellites and related components so that they are no longer considered weapons subject to the International Traffic in Arms Regulations, or ITAR. Violations of those rules carried the threat of jail time or huge fines. * The launch of AMSAT-NA's Fox-1 satellite has been delayed from this December to next summer, due to scheduling changes made by the U.S. Air Force, which is providing the launch. * KickSat, the crowd-funded satellite that was supposed to deploy thousands of tiny "sprites," each with its own experiment and radio transmitter, re-entered the Earth's atmosphere and burned up without deploying what would have been the smallest satellites ever orbited. An unexpected reset of the satellite's master clock was blamed. * "FUNcube-2," a joint project of AMSAT-UK and AMSAT-NL in the Netherlands, has been scheduled for a June 19 launch. FUNcube-1 has been highly successful in promoting science and technology - along with amateur radio - in UK schools. * The Japanese SPROUT satellite was successfully launched in late May. It operates on the 70-centimeter ham band and includes a slow-scan TV transmitter, a digitalker and a digipeater. * Lithuania's LituanicaSAT-1 has been designated as LituanicaSAT OSCAR-78, or LO-78. It carries an FM transponder with a 2-meter uplink and 70-centimter downlink. * Several hams are key players in private efforts to keep an old NASA satellite up and running. ISEE-3 was launched 36 years ago, repurposed as the International Cometary Explorer and then retired. The group hopes to bring it back to its originals orbit where it could again study the effects of solar weather on the Earth's magnetic field. 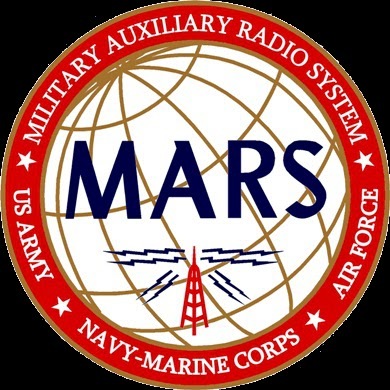 The House Armed Services Committee has again noted its support of MARS, the Military Auxiliary Radio System, but is again calling for reforms in its leadership on a national level. According to the ARRL Letter, the committee's endorsement came in a report accompanying the National Defense Authorization bill for Fiscal Year 2015. However, it noted that recommendations made two years ago regarding MARS had not yet been acted on by the Pentagon. A key recommendation was to ensure standardization of policies and procedures among the three MARS branches (Army, Air Force and Navy-Marine Corps) by appointing a single manager to oversee all three programs. The report also urged the Pentagon to integrate MARS more fully into Defense Department plans and activities in order to take full advantage of its capabilities. 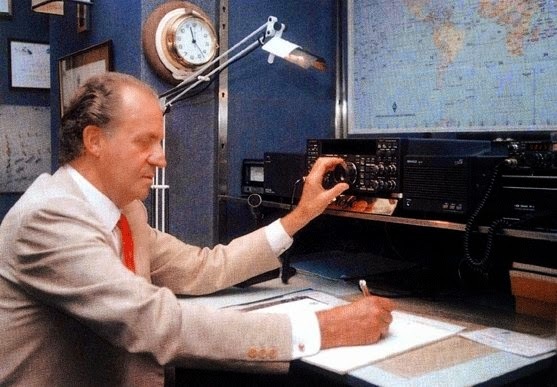 The ARRL has been publishing amateur radio license manuals for decades, and it is now expanding its license preparation efforts to the Internet. 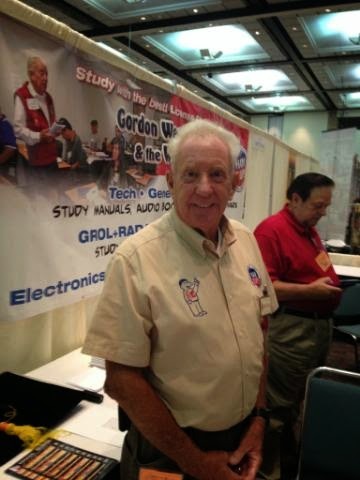 The ARRL Letter reports that the League is now offering free practice exams on its website, made up of questions from the actual license exam question pools. ARRL membership is not required. 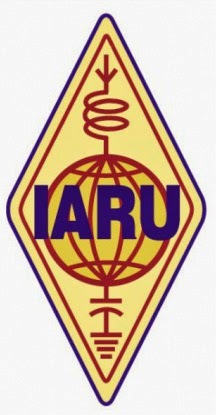 The leadership of the International Amateur Radio Union (IARU) will remain stable for another five years, with the re-election of President Timothy Ellam, VE6SH/G4HUA, and Vice-President Ole Garpestad, LA2RR. In addition, the ARRL Letter reported, IARU Secretary Rod Stafford, W6ROD, was re-appointed to his position by the ARRL in its capacity as IARU international secretariat. This is the second five-year term for both Ellam and Garpestad, providing continuity in the organization representing amateur radio interests to world bodies as the next World Radiocommunication Conference (WRC) approaches next year.